Thank you for booking Rare Blend for your special day! We are looking forward to playing for your wedding. In order to best serve you and coordinate the events at your reception, please fill out this form. If you will not be using one of the categories, simply leave the space blank. If you don't yet have specific details for a category, indicate TBD in the space. Upon completion, you will receive a confirmation email that will include all the information that you provided. 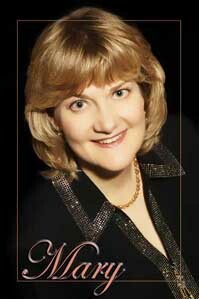 If you have any questions, please contact Mary Davis (Phone: 734-464-1107 | Email: info@rareblendband.com). We truly appreciate your taking the time to fill this out! If so, Introduce Bride/Groom Alone OR Full Bridal Party? "Mr. and Mrs. John Doe"
"Mr. and Mrs. John and Jane Doe"
"John Doe and Jane Smith"
Is MOH a "Maid" OR "Matron"? For the third consecutive year, Rare Blend has been chosen to receive The Knot Best of Weddings award! This highly coveted accolade celebrates the most outstanding professionals in the wedding industry. According to a press release entitled "The Knot Awards the Best Wedding Vendors in the United States for 2014," (XO Group Inc., 2014), starting in 2014, The Knot Best of Weddings award became "more exclusive than ever before, representing just the top 1 percent of local vendors." We are excited about this prestigious recognition and remain dedicated to providing each and every client with excellent live music and entertainment, combined with personalized service and attention. Choose Rare Blend for your special event, knowing that you will be offering your guests the best that the industry has to offer! 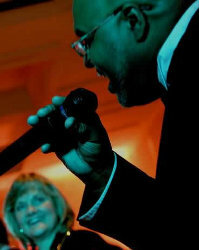 Lead Vocalist for Premier Detroit Wedding Band Named Runner-Up at 2012 Detroit Music Awards! Rare Blend Lead Vocalist, Greg C. Brown, was named Runner-Up in the "Outstanding Gospel/Christian Vocalist" category for the 2012 Detroit Music Awards! If you are looking for a Detroit wedding band for your wedding or a Detroit party band for a corporate event or country club function that you're planning, choose one with recognized musical talent and excellence! Choose Rare Blend! 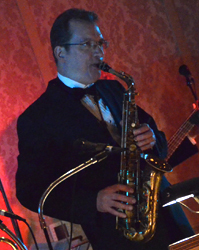 Leading Detroit Dance Band Saxophonist Named Outstanding Jazz Instrumentalist at 2013 Detroit Music Awards! Keith Kaminski, one of Rare Blend's exceptional horn players, took home the Outstanding Jazz Instrumentalist title at the 2013 Detroit Music Awards. As an exceptional musician and artist, Keith is truly deserving of this recognition. 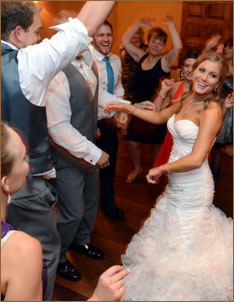 When you reserve Rare Blend for your wedding, private party, or corporate event, you can be confident that you are hiring one of Detroit's best dance bands, comprised of the most talented musicians and vocalists in Detroit. My wedding reception was totally perfect, mostly due to Mary Davis and Rare Blend! I’ve heard the band on a number of occasions—at my sister’s wedding and at my cousin’s wedding—and they are always the highlight of the night! Everyone is still talking about their exceptional performance at my wedding. The energy they brought to the dance floor was amazing; the timing of the reception and the pacing of the music was masterful; the variety and song selection was perfect for our multi-generational crowd; and the musical performance was absolutely unbelievable. I had heard that Mary was an expert wedding planner, but that is an understatement. She’s like a band manager and a wedding planner all in one. She was my go-to person during the whole planning process. Whenever I had a question about the wedding, I could send her an email and know that she would get back to me almost instantly. I have one more sister to get married. She doesn’t have a boyfriend right now, but she has already said that she wants Rare Blend to play for her wedding. I can’t wait to dance to their music again! I was just married this past June and I can honestly and truly say that my wedding would not have been the same without Rare Blend. The best part about this band is not just the fantastic music and atmosphere they create, but also how truly genuine and caring all the band members are. Mary did a truly fantastic job organizing and being an MC for the evening! She coordinated and helped organize everything and even offered suggestions and tips that you may have not thought of on your own. If you are looking to work with an incredible group of people and want some FANTASTIC music at your wedding, I would highly recommend Rare Blend. You can't go wrong with them!!! Best Wedding Band in Detroit! The best decision Craig and I made for our wedding was having the Rare Blend Band play for the reception! Music was the one area where we spent the most time discussing our options--DJ vs. Wedding Band vs. Budget. We ended up sitting down and deciding what aspects of the wedding were most important to us. As we went over the weddings we'd been to in the past few years, we realized that the music and dancing were what we remembered the most. We'd seen a couple band and many DJs. Our best times were at the receptions with the wedding bands. So we started looking around and picked the Rare Blend Band. Overall Review: The band made the reception! They played like an hour and a half straight before taking a break! They packed the dance floor! Mary was so helpful before and during the reception. Everybody at our wedding loved the Rare Blend Band! For your upcoming wedding, corporate party or special event, choose the live music and entertainment of the party band, Rare Blend. Composed of experienced and professional SE Michigan musicians, Rare Blend is one of the most popular and best Detroit wedding bands! Copyright © 2019 · MDB Productions, Inc. dba Rare Blend · All rights reserved.